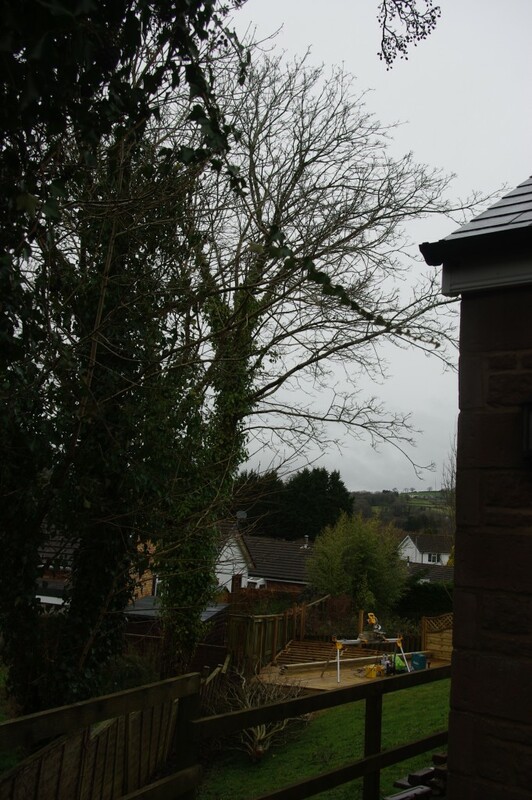 Overhanging trees on the boundary line. 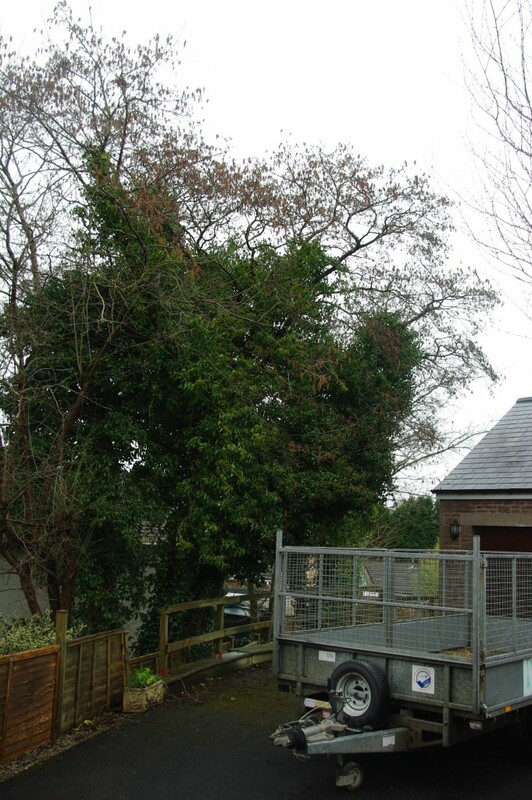 This set of images shows the recent work we did on some overhanging trees on the boundary line of a house owned by the Church of Wales in Llandeilo.We were called out to assess the trees and it was agreed that the trees would be cut back and taken away from the boundary fence,both neighbours were in agreement of this.Tree Preservation Orders have to be checked before works can start,this can be done through the local council. 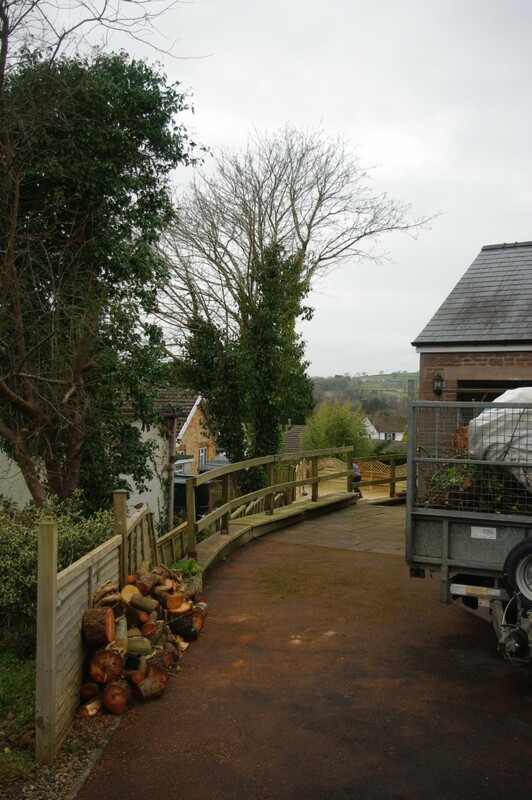 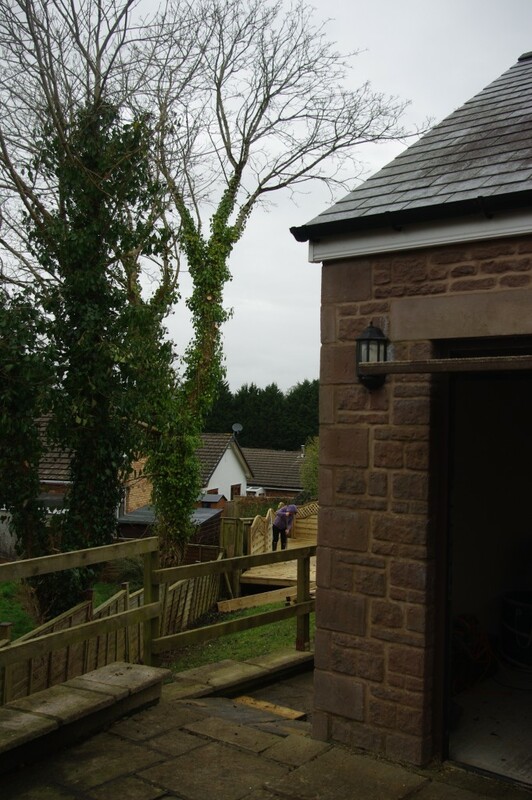 On the day of works,we had a treeclimber and two groundsmen on site to do the works,all the brash and wood was put in one of our trailers and taken away from the job.We made the site neat and tidy after the works were completed. 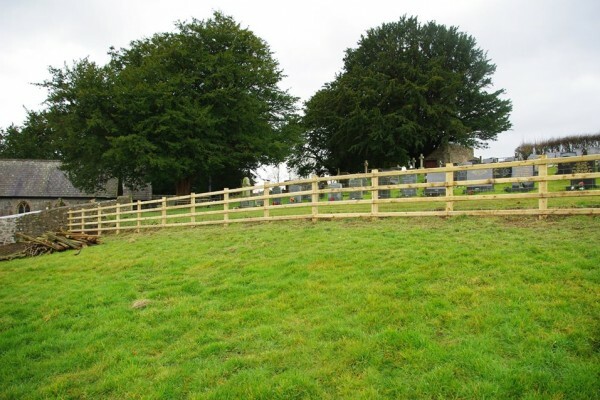 As a result both parties were extremely pleased with the works and will be using our services again,we have secured a contract with the Church of Wales for maintenance of their grounds as and when we are needed on any of their properties. 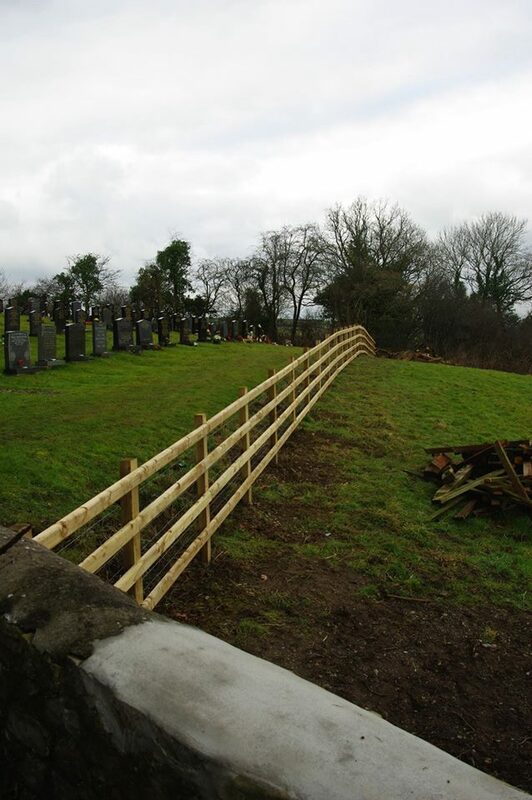 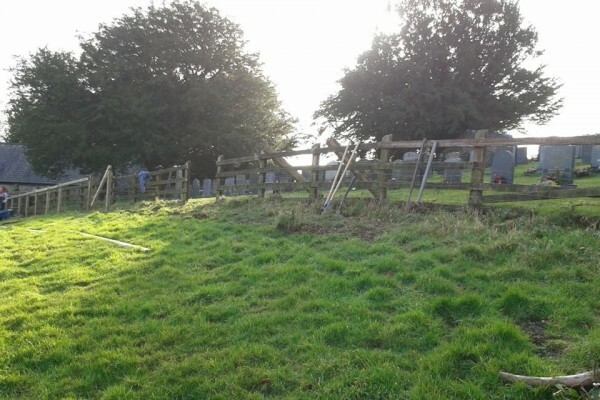 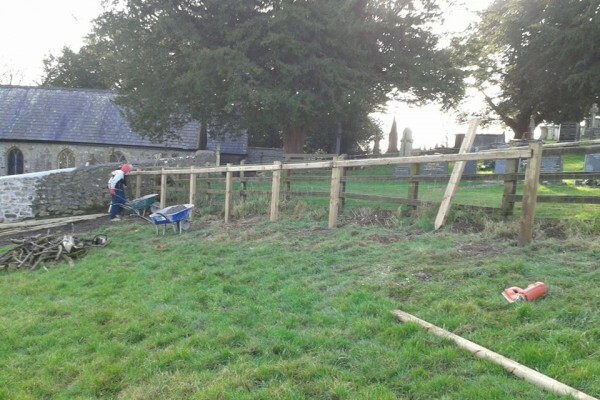 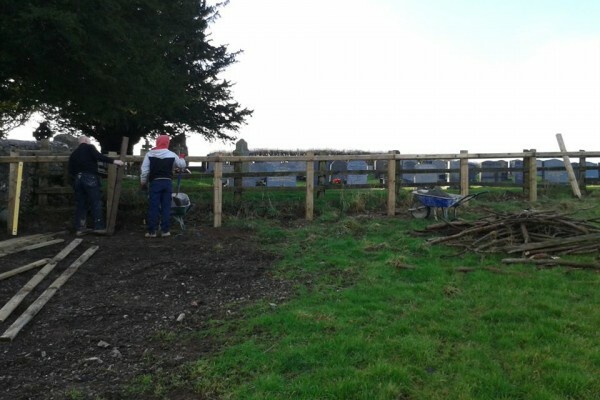 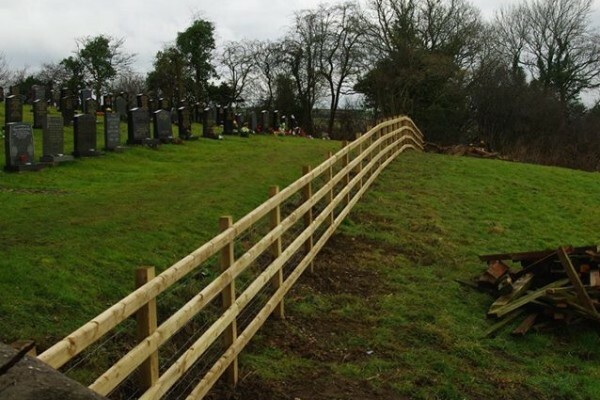 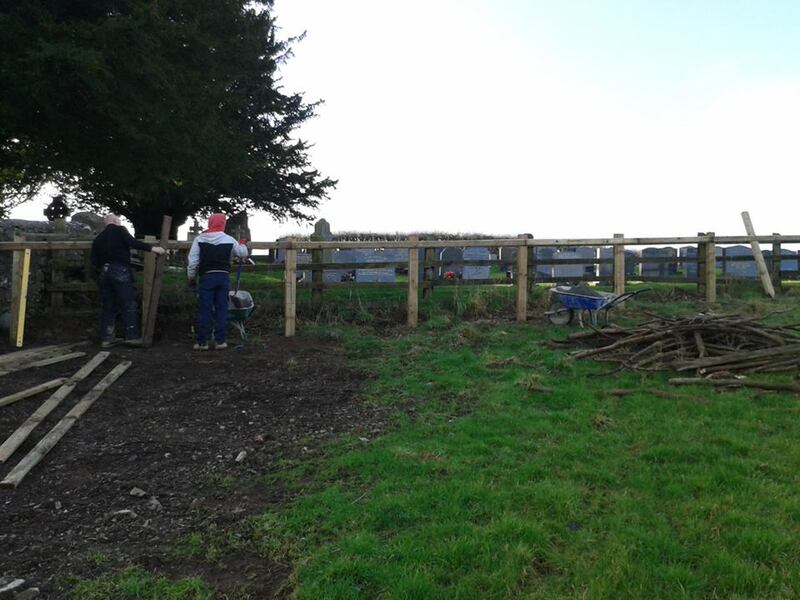 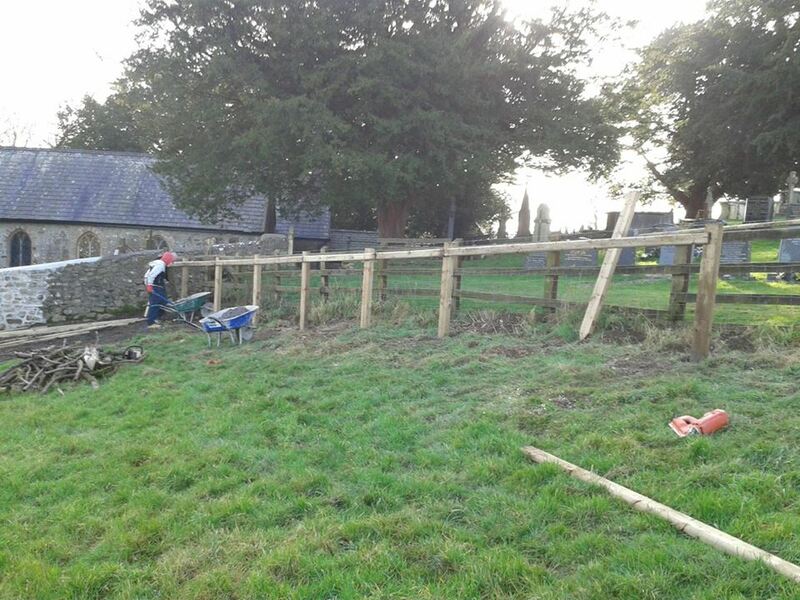 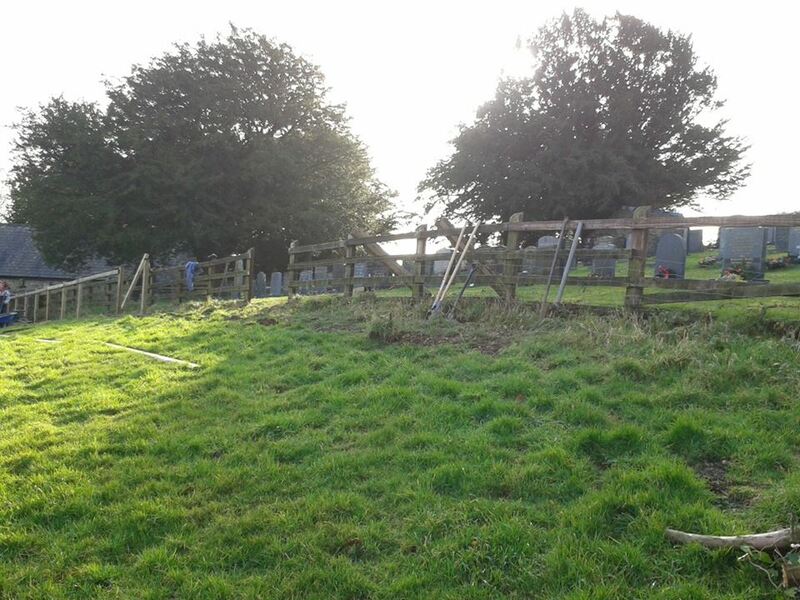 Recently we were commissioned to remove what was left of the existing post and rail fence at Llangunnor church, the pictures above show the the damage time has done to the existing post and rail fence. 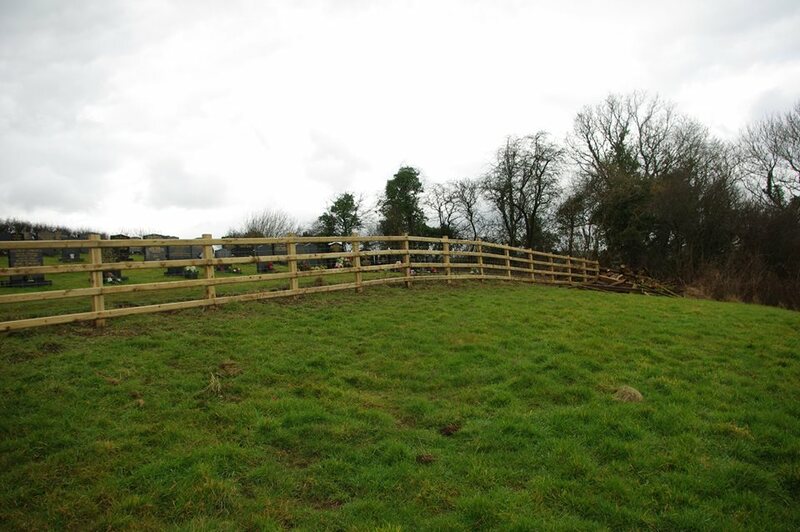 The new and improved post and rail fence was installed in a short period of time and made a huge improvement to the landscape.